aDKIM uses two actions to verify your messages. The first action takes place on a server sending DKIM signed emails, while the second happens on a recipient server checking DKIM signatures on incoming messages. The entire process is made possible by a private/public key pair. Your private key is kept secret and safe, either on your own server or with your ESP and the public key is added to the DNS records for your domain to broadcast it to the world to help verify your messages. 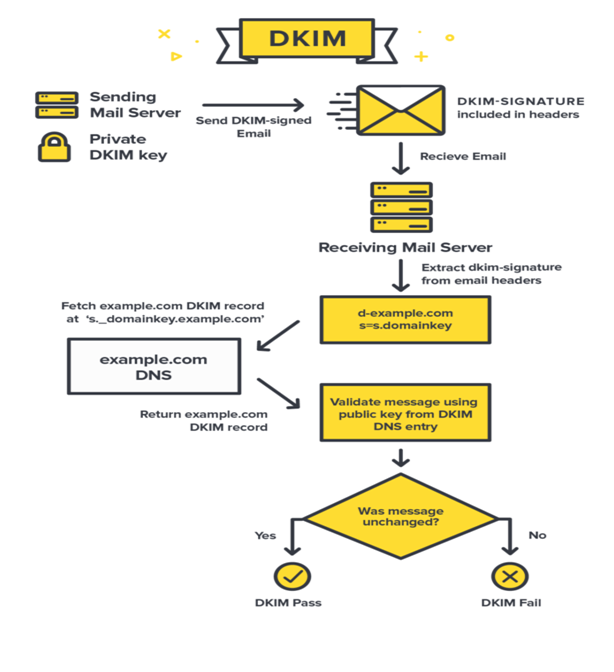 Let’s dive a little deeper into how DKIM works on servers that are sending and receiving email.